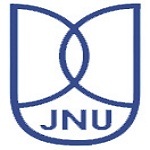 JNU 2019 Exam Pattern comprises the type and number of questions, mode of exam, duration and many other exam related details. JNUEE is a university level examination organized by National Testing Agency. JNU entrance exam is a gateway for admission into various UG, PG & other programmes. Students will get admission in BA. (Hons. ), M.Tech, M.Phill, MA, MCA, M.Sc, etc. This exam will be conducted only once in a year. Here we are providing details about JNU Exam Pattern 2019. Mode of Exam: The exam will be conducted in online (Computer based) mode. Duration of Exam: The exam duration will be total three hours. Type of Questions: There will be multiple choice questions asked in the examination. Total Marks: The exam paper will be of total 100 marks. Marking Scheme: 1,2,3 or 4 marks will be given for each correct response (weightage of each question may vary for each course). Number of Questions: The number of questions will be different for various courses. Type of Question: There will be multiple choice questions asked in the exam. Number of Question: Total 100 questions will be asked. Marking Scheme: One mark will be given for correct answer and 0.25 mark will be deducted for a wrong answer. Subjects: Mathematics, Statistics, Computer Science, General Aptitude and Research Methodology. Number of Question: Total 100 questions will be asked in the exam. Marking Scheme: One mark will be awarded for right answer and 0.25 mark will be deducted for a incorrect answer. Subjects: General Aptitude, Mathematics, Reasoning, Statistics and Probability. Question Weightage: 80% questions will be asked from Mathematics, Probability and Statistics and 20% marks will be asked from GA and reasoning. Type of Questions: The question paper will have multiple choice type questions. Part I: This section will contain questions from science and mathematics (10+2 level). Part II: Questions will be asked from Physics, Chemistry, Mathematics, Geology, Botany & Zoology (B.Sc level). Subjects (Physics): Questions will be asked from Physics, Physical Chemistry and Mathematics of B.Sc. (General) level. Subjects (Chemistry): Question will be asked from Organic, Inorganic & Physical Chemistry of B.Sc. (General) level. Duration of Exam: The exam duration will be three hours. Subjects: Arts, Aesthetics, Aspects of painting, sculpture, architecture, traditions of Indian arts, etc. Type of Question: The questions will be objective type. Part A: This part will contain objective type questions of relevant standard. Part B: Questions will be asked from Botany, Zoology, Chemistry, Physics & other related subjects. For any other queries about JNU 2019 Exam Pattern, you may leave your queries below in the comment box. i want to know the entrance exam pattern for JNU MCA also what will be useful book regarding it if I want to crack the entrance exam also tell me about the mode of exam and is it will be in multiple choice or descriptive? what will be the mode of exam for MA in international relations from JNU also pattern of it?Is it be in multiple choice questions or will be descriptive type?what will be recommended books regarding that course if i want to crack the entrance exam?please reply. The exam pattern is mentioned in the article. Mein M.A hindi ke entrance ke bare janana chahati hun.. I want syllabus and pattern for Entrance Exam of MA in Political Science…. I want to appear Ba(hons) for cluster 2 ( Japanese ) so will i be required to know basic GK of all the countries ( China , Japan & S.Korea) ? or just Japan would be for me ? and also recommend me some prep book , if possible. Thanks. Sir,iam studying in 12th BIOLOGY SCIENCE. please give the details of bsc courses and it’s entrance exam details. Till 2018, the pattern was subjective questions for MA English. Will it change in 2019? Sir, I am studying 12th bio-maths science. Can I have give details for B.Sc course and it’s entrance details..
hello sir, how many objective and subjective questions will be there in M.A? English entrance. And what is the duration for M.A. English entrance? Sir philosophy MA entrance ka syllabus kya hai? Aur 2019 entrance paper ka mode kya hai?? I have appeared in BA exam 2018.but I have not received my marksheet yet. Can I apply for MA in jnu entrance exam. Sir the entrance exam is offline or online? Is there any compulsory language type to write with in the entrance exam?? Would we free to write in hindi?? sir is there any option for writing the exam other than the one mentioned above? Can I apply for BHU msc entrance 2019 .cause I don’t have any marksheet now.is it required during form fill up or admission? i am B.tech graduate.i want get into jnu. what courses should i apply for? What is the syllabus and exam pattern for MA English 2019? I want to know syllabus and pattern for ma in english literature. For 2019. What is the syllabus of ma modern histroy for entrance test? Is Jnu MCA 2018 result is based on negative marking? How many seats are there for mca? Max marks of ba(hons) out of which the exam is going to be conducted??? Exam pattern for BA hons. What will be the format of the entrance exam paper for MA. in geography? And what about the pattern for life science? what will be the pattern and syllabus for M.A politics in international studies and INTERNATIONAL RELATIONS AND AREA STUDIES? ?